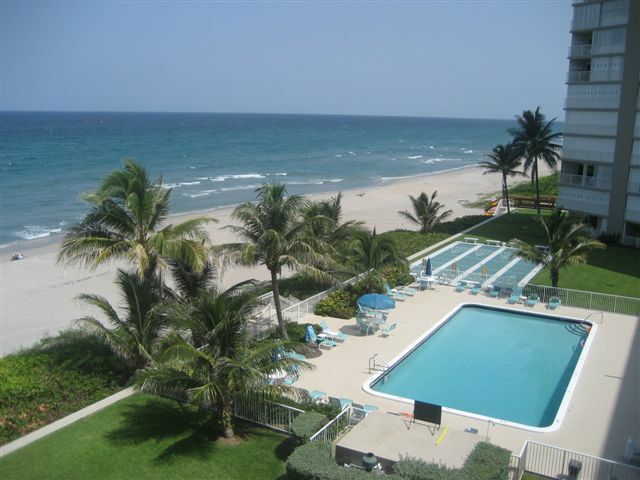 Beautiful and stunning direct ocean views from this 5th floor ultra luxury Highland Beach Florida condo rental. 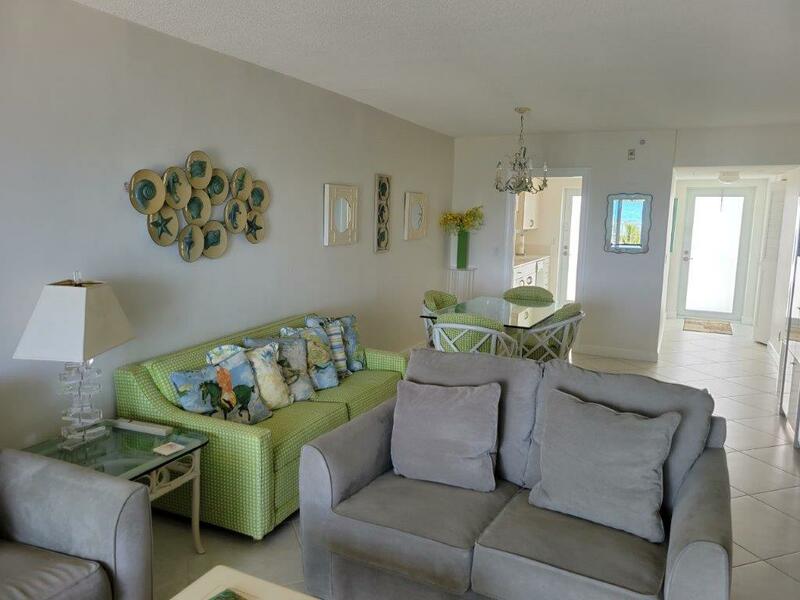 The Highland Beach Condo sits direct oceanfront and consists of 2 bedrooms and 2 full baths. The unit also has a huge direct oceanfront patio with over 200 square foot of outdoor living space. 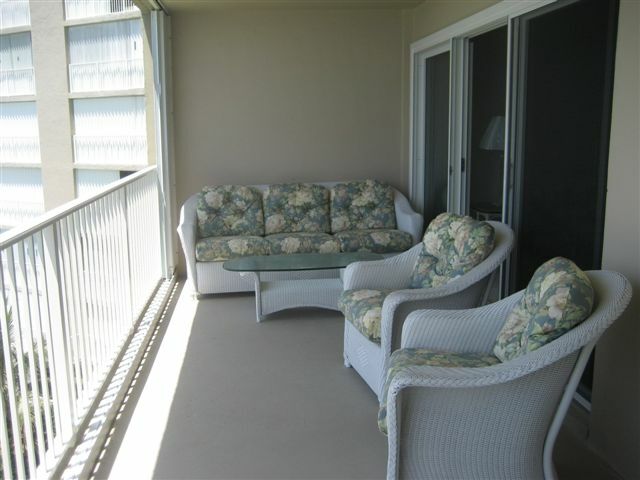 The condo is fully air conditioned, and is exquisitely decorated with Tropical Furniture. Large Screen 42 inch LCD TV in Living room and 32” Flat Screens LCD TV’s in each of the 2 bedrooms. The condo also has WIFI wireless internet, Cable TV, Mini Stereo System, DVD Player and a host of other amenities to make you feel right at home. 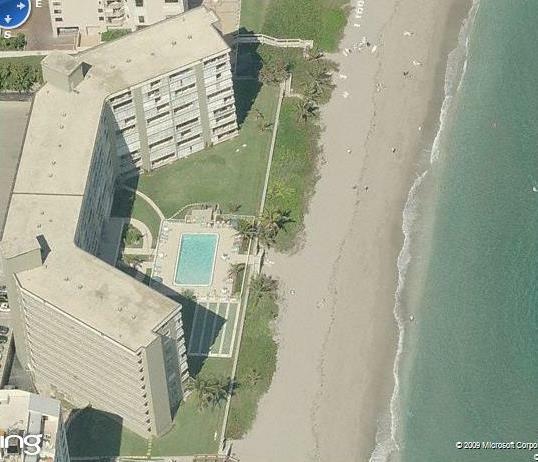 Penthouse Towers is a 136 unit 10 story building in the ultra exclusive South Florida town of Highland Beach. 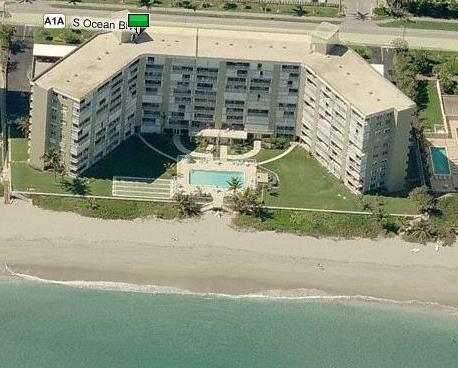 Highland Beach Florida is located just south of Delray Beach and Just North of Boca Raton. It is sandwiched between the two with the Atlantic Ocean on the east and the Inter-Coastal Waterways on the west. The Penthouse Tower Clubhouse offers social gatherings events throughout the week. There is also a gym, ping pong tables, billiards, a library and card room. 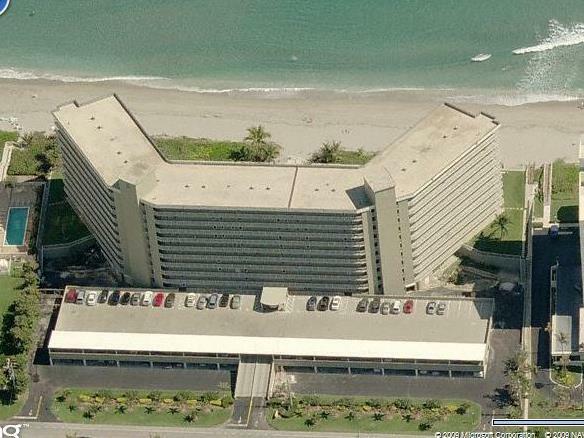 The 5th floor unit is located on the north wing (right side wing looking from ocean) and the second unit in from the beach. It has sweeping southeast views of the ocean and the coast line from the master bedroom and outdoor patio. The highland beach seasonal rental condo has a Full service kitchen, Dining area with seating for 6, and in unit Laundry Facilities. The condo is nearly 1300 square feet in total, with over 1000 square foot of air conditioned living space, and nearly 300 square foot of terrace space. You only need to bring yourself and your suitcase for a Highland Beach winter retreat seasonal rental and to be living the famous South Florida Lifestyle. 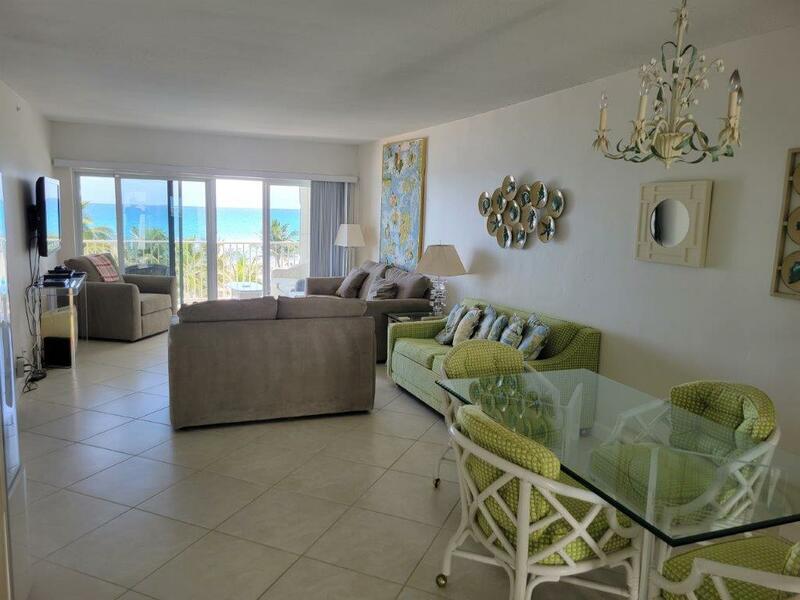 The Penthouse Towers Highland Beach Seasonal Condo Rental vacation home also offers a tastefully decorated ultra modern setting with rattan furniture in the living room and dining room area as shown with ocean views from both rooms. Enjoy stunning views of the Atlantic ocean and Highland Beach coast line from over sized oceanfront patio as shown above. 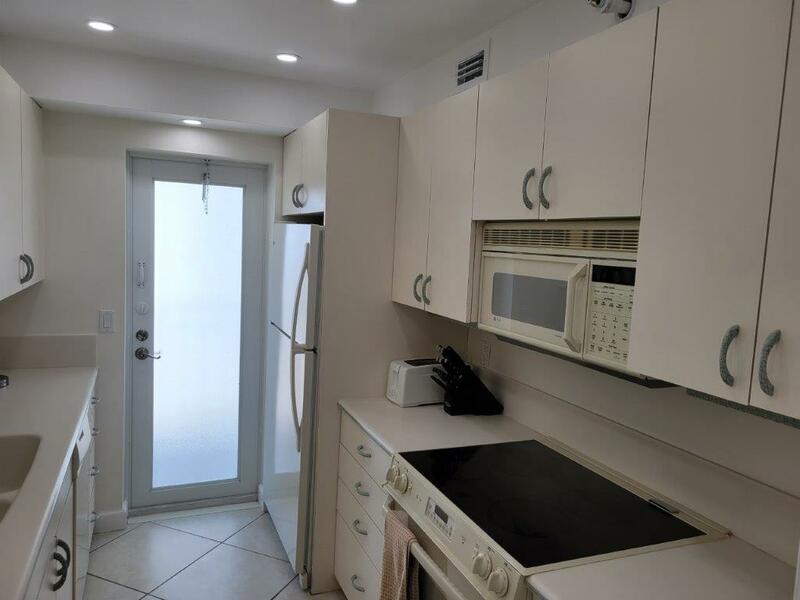 The Penthouse Towers Highland Beach Seasonal Condo Rental vacation home also offers a state of the art ultra modern kitchen with as shown below with ocean views and open to the great room. 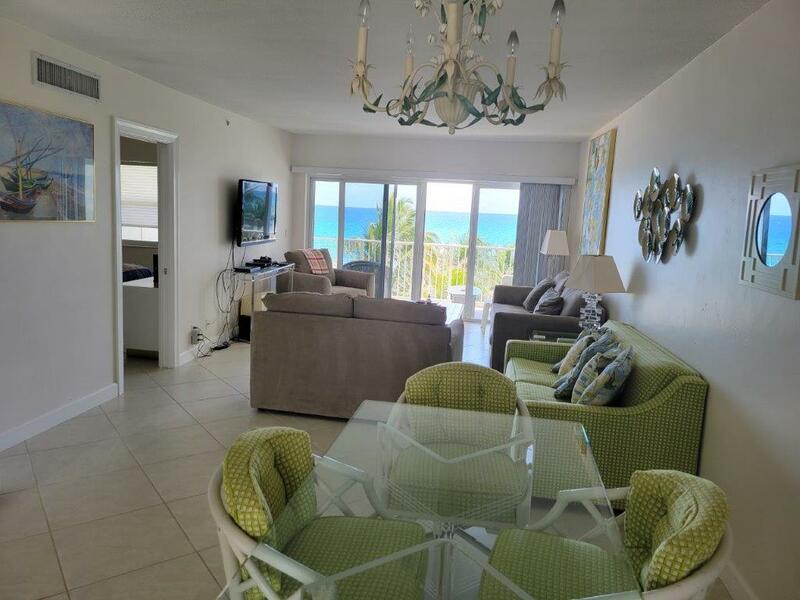 The Penthouse Towers condo rental offers the finest in accommodations in vacation condo rentals found in Highland Beach, Florida. 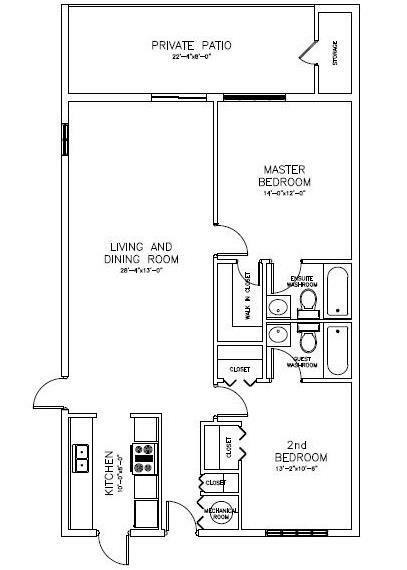 Shown above are photos of the master bedroom suite and guest bedroom suite. 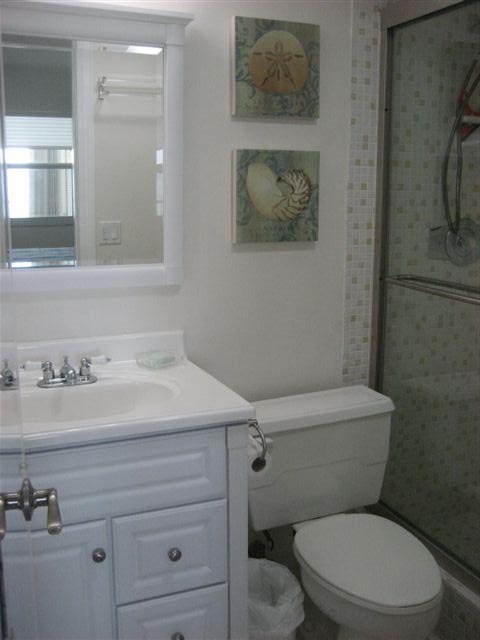 Both bedrooms have attached full baths. The master bedroom offers oceanfront views and the guest suite offers intra-coastal waterway views. 2 bedroom unit with two full bathrooms. 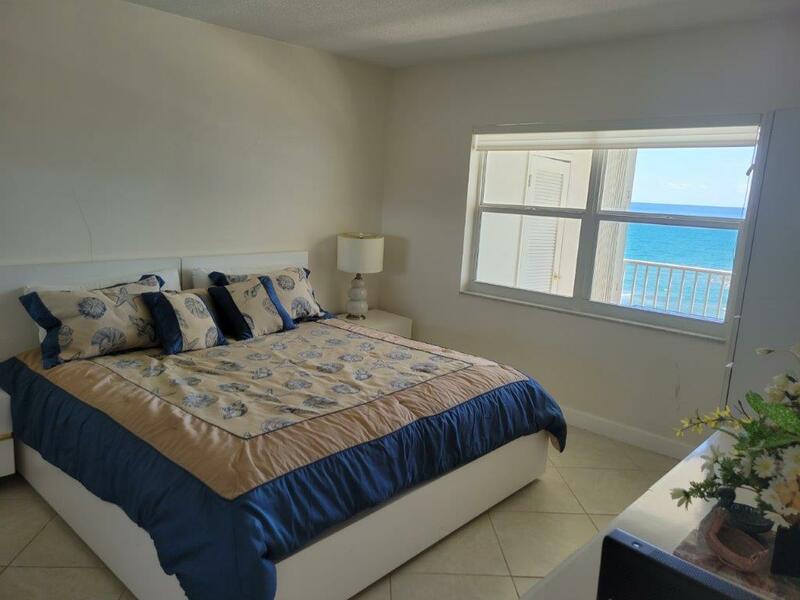 Master Bedroom- King size bed – attached full bathroom – Walk In closet – 32″ Flat Panel TV – Ocean View. 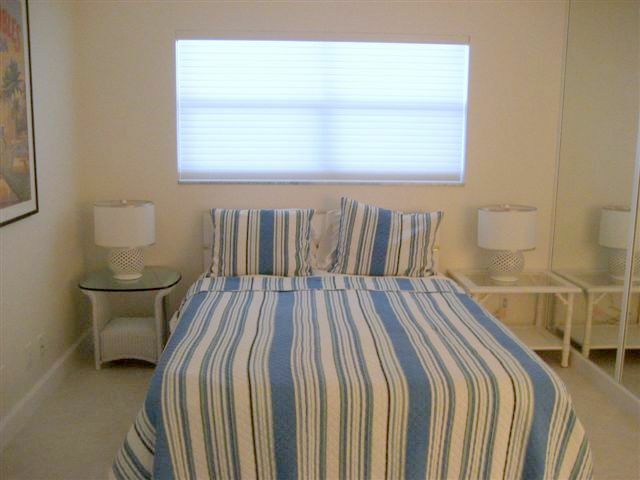 Master Suite #2- Queen size bed – attached full bathroom – attached closet – 21″ TV-Intra Coastal and Ocean Views. 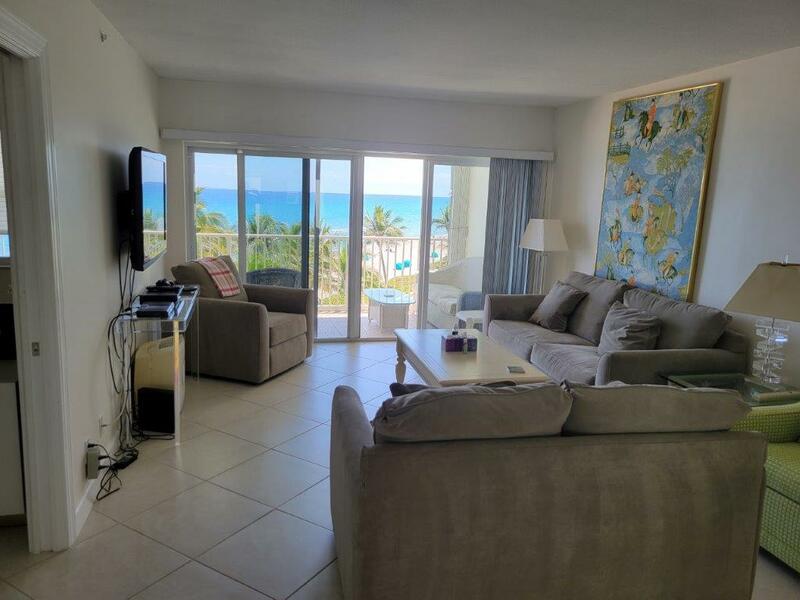 Living Room- Large ocean view living room – Tropical Furniture and large oceanfront private balcony (over 200 sq ft) – Includes 46″ Large LCD Flat Panel TV, stereo system, and dvd. Dining Room – Large ocean view dining room with table for 6. 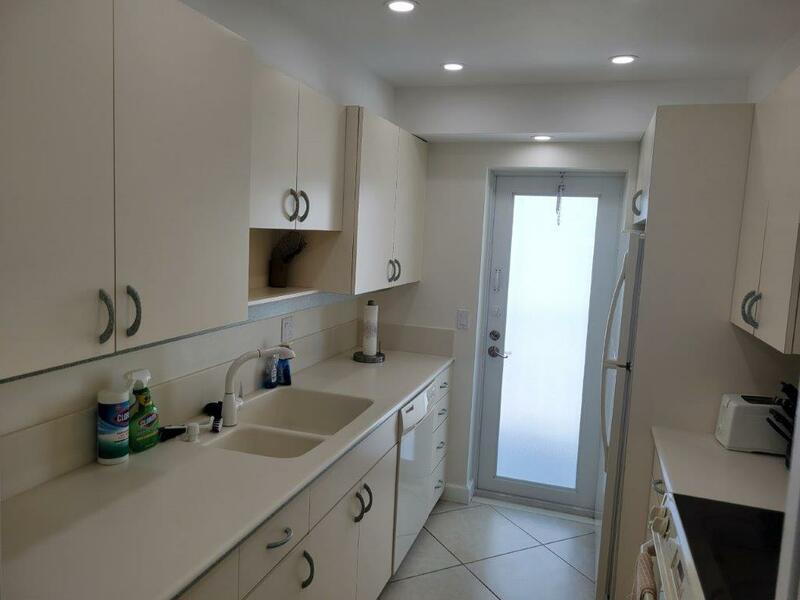 Kitchen – Large fully equipped kitchen with corian counter tops open to Living Room/Dining Room with ocean views from kitchen. 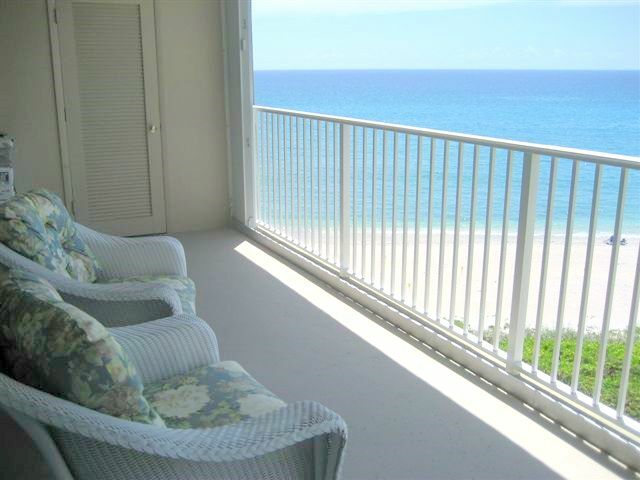 Penthouse Towers Highland Beach Florida Seasonal Rentals from 3 Months to 9 Months. Also available for Annual Rental $3000 per month plus utilities. Occupancy on the 2 Bedroom unit must not exceed 6 total people.